Cheyanne is very excited about graduation picture day. However, when she started to get dressed, she must take on the challenge of finding a pair of white socks which she needed to wear for the picture. Will she find them in the end? She doesn't think so, but will have a lot of fun trying to get them. Children will love the repetition of sound affects that seem to be a huge factor in the search. Betty Dean has been writing since she was 10 years old. She grew in this passion as she taught Senior Kindergarten. This as well as many other stories were told and inspired by the children of Three Little Fishes Day Nursery in Toronto, Ontario. Many people say that Betty's success in writing comes from seeing life through the eyes of a child. 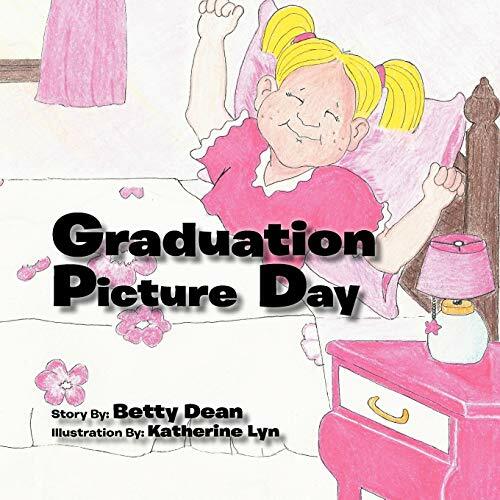 This is the first of numerous books to be produced by Betty as she has written approximately 20 children's stories and hundreds of poetic pieces. She is also the mom of a daughter who is 18 years old. Katherine Lyn resides in Markham, Ontario and has been drawing from a very young age. Although she cannot recall exactly when she put pencil to paper, she knows that drawing has always been a part of her. She started drawing animals and gradually moved to illustrating people which has become her specialty. As a self taught artist, she is most inspired by people and takes great pride in bringing her characters to life. She is looking forward to illustrating more children's books and to building her portfolio.